Oh La Love: Shop Simply Classic Style! January 7, 2014 August 13, 2014 Categories PMHQ Picks, Posh Style, Stylefashion, faux leather, handbags, Heels, j crew, listing, louis vuitton, peplum skirt, Posh Party, shop my closet, simply classic, steve madden, style, tiffany & co, trendLeave a Comment on Oh La Love: Shop Simply Classic Style! For 2014, have breakfast wearing Tiffany’s! Shop for a weekend outfit that is classic Audrey Hepburn or very Hollywood a la Elizabeth Taylor and fall in love with your wardrobe all over again. LBD, petite peplum skirts, Tiffany’s for everyday? Yes, please! 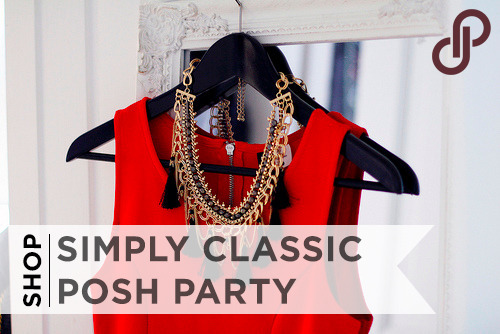 If you love these oh-la-lovely listings, shop these and more at our “Simply Classic” Posh Party tonight!